Quality beers from the region! Discover the great beer variety of each Austrian federal state! All of the 6 different Regional Beer Boxes are packed with 7 beer specialities of each respective federal state. Naturally, one of our tasting glasses is included in the deal as well – to allow for an optimal tasting experience. 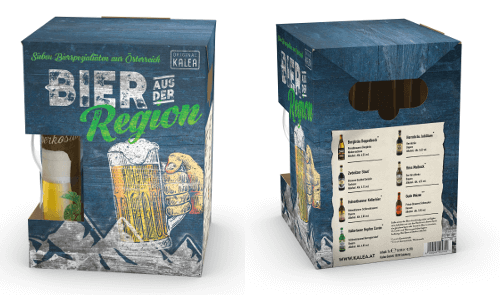 The exact assembly in each box varies from federal state to federal state, obviously, as only beer specialities from the nearest region are packed in the respective beer box. If you have ever had the chance of testing one of our boxes or calendars, however, you will know that we never disappoint with our selections.